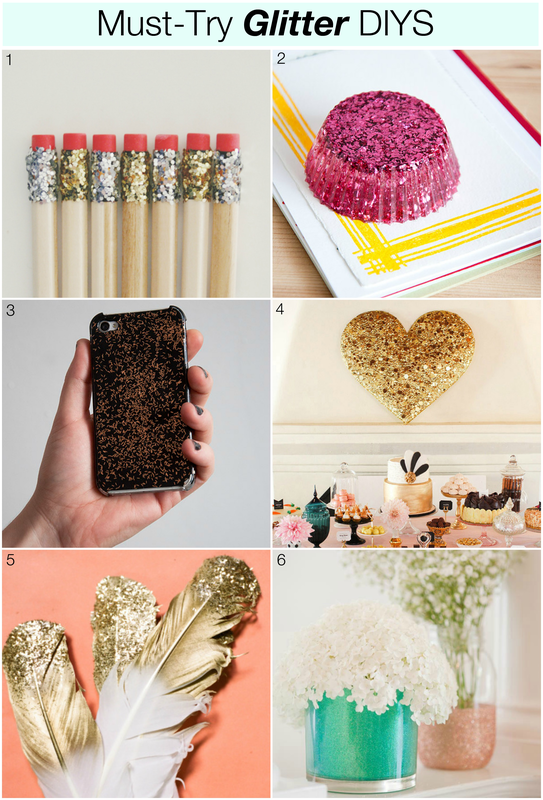 Glitter DIYs may be messy, but boy are they pretty! These must-try projects not only have just the right amount of glitz and glam but they also manage to transform otherwise boring objects into something I’d actually use. So even though you’ll find bits of sparkle around your house months after your work is done, remember, it was alllll worth it. Need even more glitter to fill your weekend? Check out my glittered photo clips, glitter dipped air plant holder, or glitter candle holders.